Please click the image above to view all the items we are featuring in March. 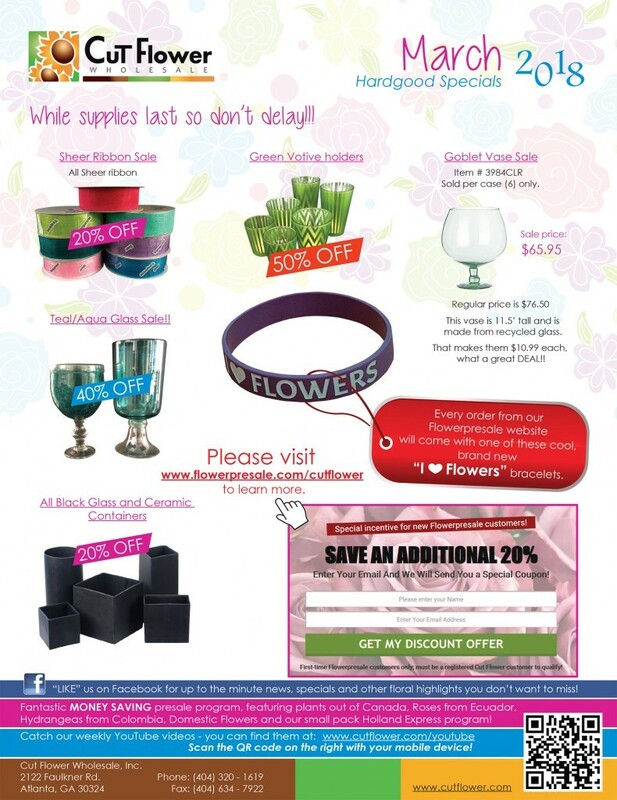 Notice how first-time customers on our Flowerpresale.com shopping site can save 20% on their first order! brand new “I ♥ Flowers” bracelets! !